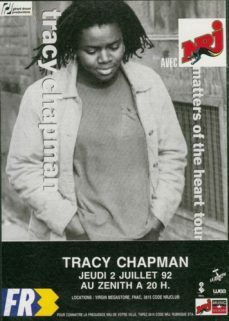 The Matters Of the Heart tour began in Eastern U.S, continued in Europe to hit some summer festivals and ended in Western U.S. 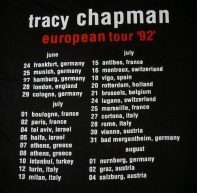 The tour visited some universities venues, open-air festivals and some “original” countries such as Israel, Greece and Turkey. 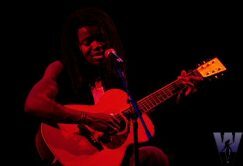 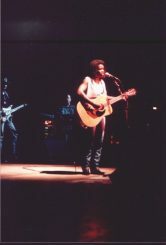 Tracy Chapman singing during the Matters Of The Heart tour. 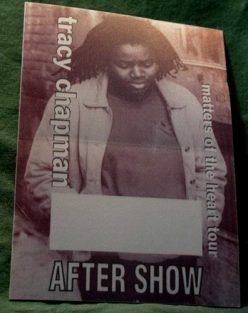 Backstage pass from Matters Of The Heart tour. 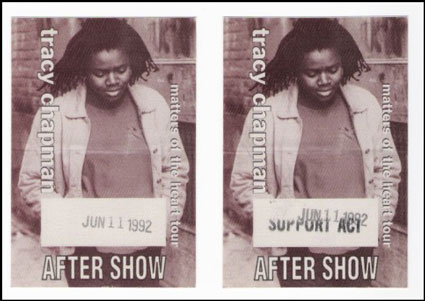 Backstage pass for Upper Darby, PA concert at Tower Theater on June 07, 1992. 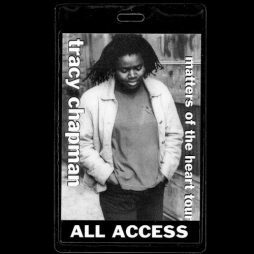 Backstage pass for Holmdel, NJ concert at the Garden State Art Center on June 11, 1992. 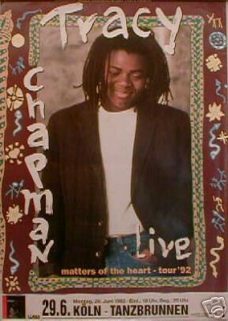 Concert poster for the Matters Of The Heart tour. 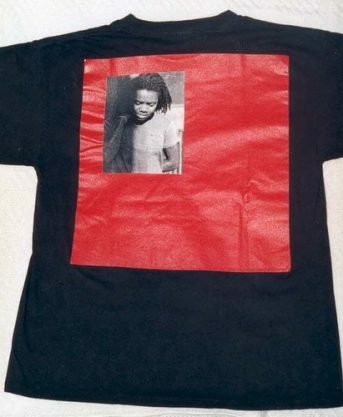 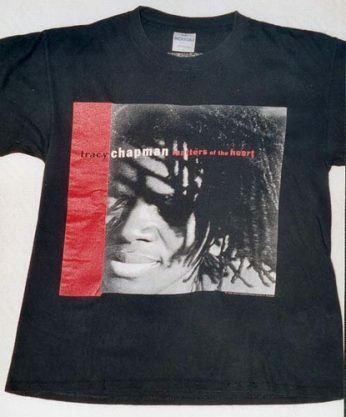 AD for the concert at Le Zénith in Paris on July 02, 1992. 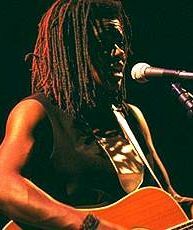 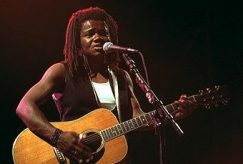 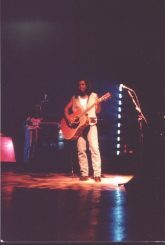 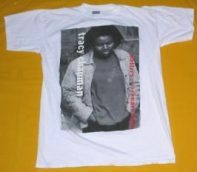 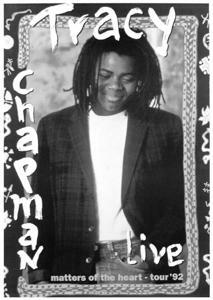 Tracy Chapman singing at the Warfield Theater in San Francisco during the Matters Of The Heart tour. 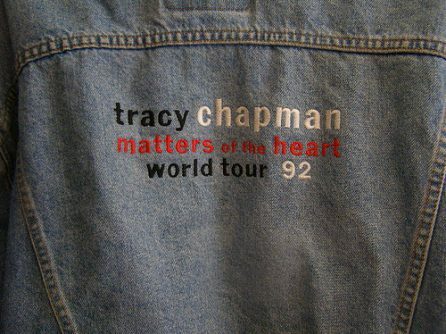 Close up of a Matters Of The Heart tour jean’s jacket. 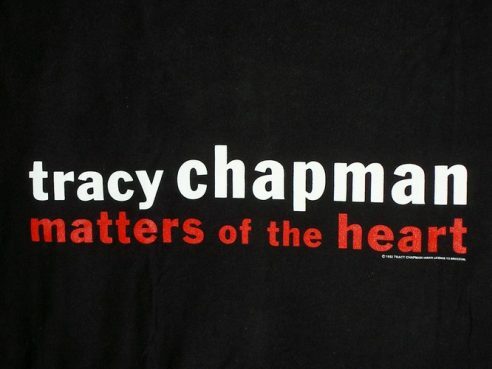 Matters Of The Heart tour tee-shirt. 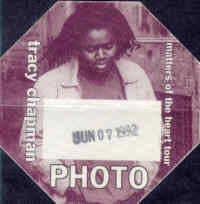 Ticket for the concert at the Cirkus Krone in Munich, Germany on June 25, 1992. 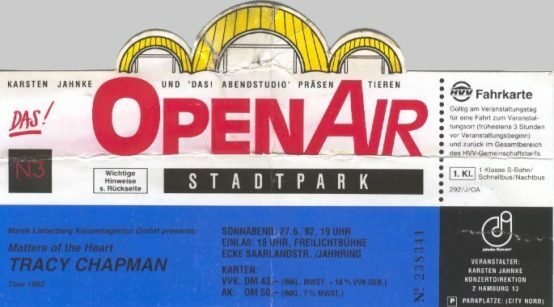 Ticket for the concert in Bad Mergentheim, Germany on July 31, 1992. 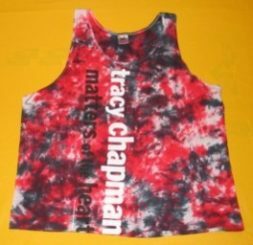 June 06 – Saratoga Springs, NY – S.P.A.C.